Eight photos of this ironclad coast defence turret ram built for the Royal Netherlands Navy in 1867 by Robert Napier & Sons of Glasgow. HNLMS Buffel, Rotterdam, Sun 8 September 2013 1. 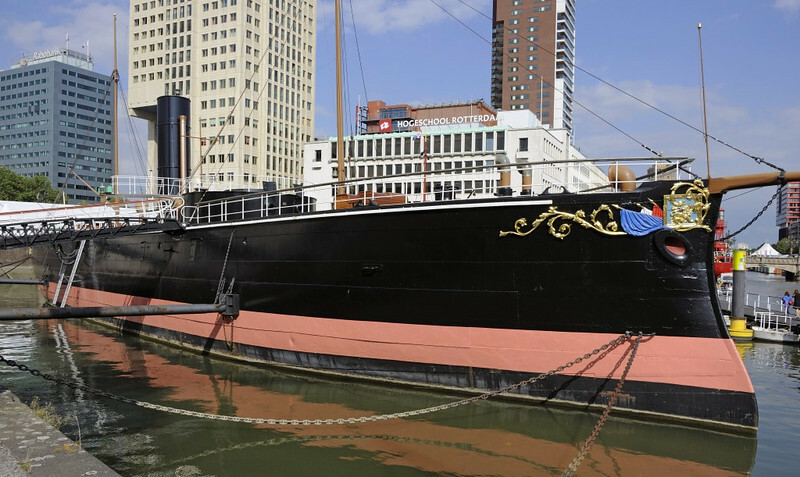 Buffel (= Buffalo) is an ironclad coast defence turret ram built for the Royal Netherlands Navy in 1867 by Robert Napier & Sons of Glasgow. She was armed with two 9.2 inch guns, four 30 pounders and a submerged ram. She is now a museum ship without engines or armament. After 30 years at Rotterdam, Buffel left on 19 September 2013 for a new home at Hellevoetsluis. Another Dutch turret ram, Schorpioen, built in 1868 at Toulon, is preserved at Den Halder.